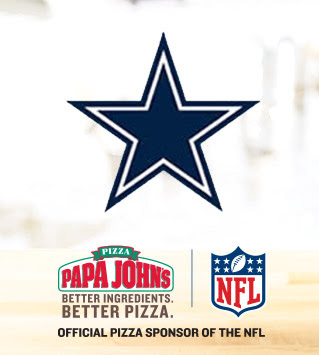 Papa Johns is celebrating Cowboys Fans with 50% off your order today! 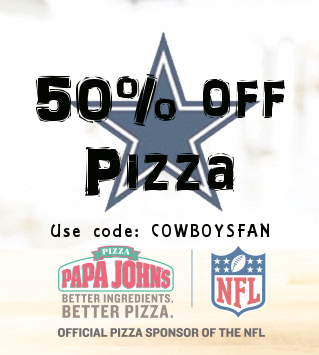 Use code COWBOYSFAN to get the deal. If you purchased the $25 gift cards previously that got you those free large pizzas, make sure you use it to pay! Offer ends 1/4.